In our media-saturated society, multicultural writers have discovered the stage as their medium of choice. These 37 scenes and monologs by new writers of the multicultural experience are certain to inspire actors and directors. The scene selections offer unusually challenging characterizations for virtually any actor or acting student. All selections are for one or two actors. This is an excellent collection for expressing cultural diversity while offering an expanding range of new material. 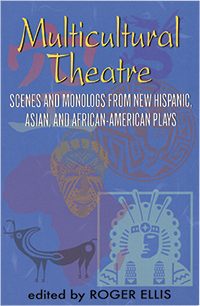 Within the three-section book, the Hispanic-American and the Asian-American sections each have 11 scenes; the African-American section has 14 scenes. Writers include Caridad Svich, Silvia Gonzalez, Peter Mellencamp, Karen Huie, Kia Chorthron, and Akuyoe. Now, here’s a unique anthology of complete plays from new writers of the multicultural experience.